Finally(! 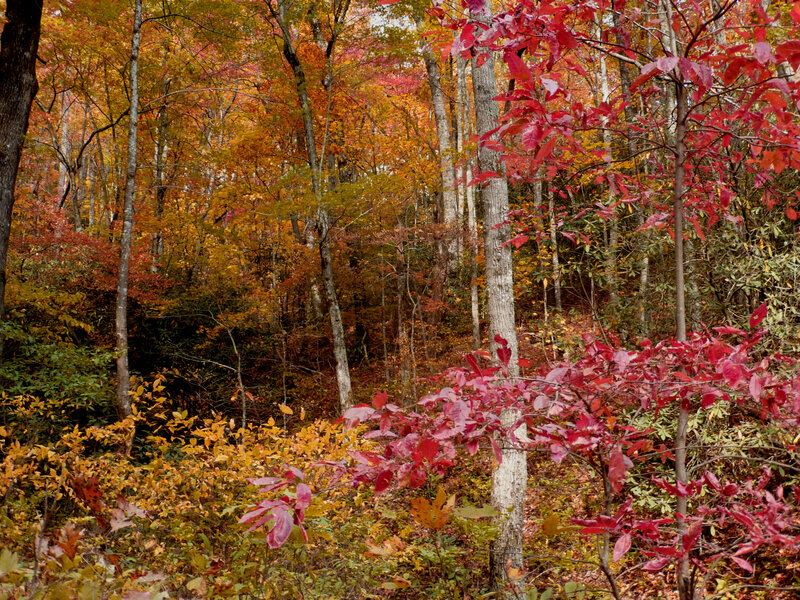 ), oak trees are changing en masse, with bold orange and rust-colored tones dominate the landscape at our elevation of 2,300 feet in the North Carolina mountains. This will be our final fall color report for 2016, and it’s been a beautiful fall season. Mother Nature has been very kind to us this fall season, with bright foliage and a very gradual changing of the leaves this year (pretty typical for western North Carolina). We’re fortunate that we’ll likely be seeing fall color, even past peak, well into the month of November. Fall Color Waterfall: For a late fall color show, head east of the Inn on Mill Creek to Toms Creek Falls in Marion. You’ll definitely have some leaf-crunching on the trail, but the area has lots of late changing maples and oaks to provide a pretty backdrop for the waterfall. Plus, trail improvements and the construction of a viewing platform have made this already fairly easy trail even better for hikers of all skill levels. Do note that our area has been in a drought over the past several weeks, and this is one waterfall that may not look as “full” due to dry conditions. Still a great hike. 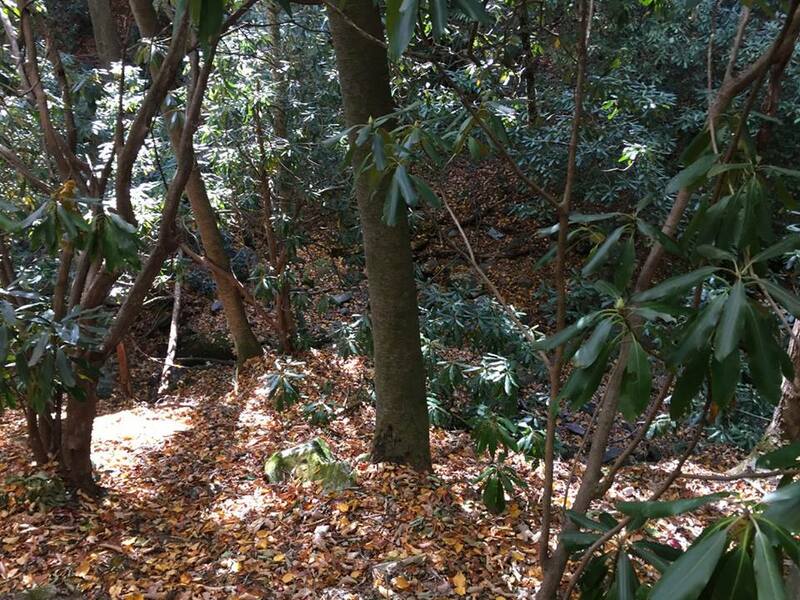 Walk in the Woods: Head to Montreat, the small community that borders the town of Black Mountain to the north (about 15 minutes from the Inn on Mill Creek) and venture into the woods on the Sanctuary Trail, a short nature walk near the trail head to Graybeard Trail. 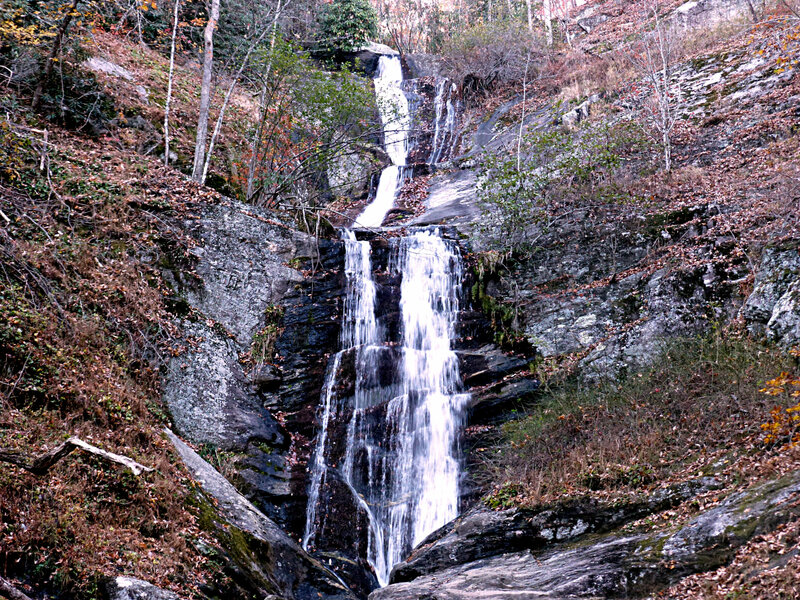 The 0.3-mile Sanctuary Trail is part of a small wildlife sanctuary in Montreat and takes you past a peaceful stream along a short gorge, connecting with two other wooded trails. 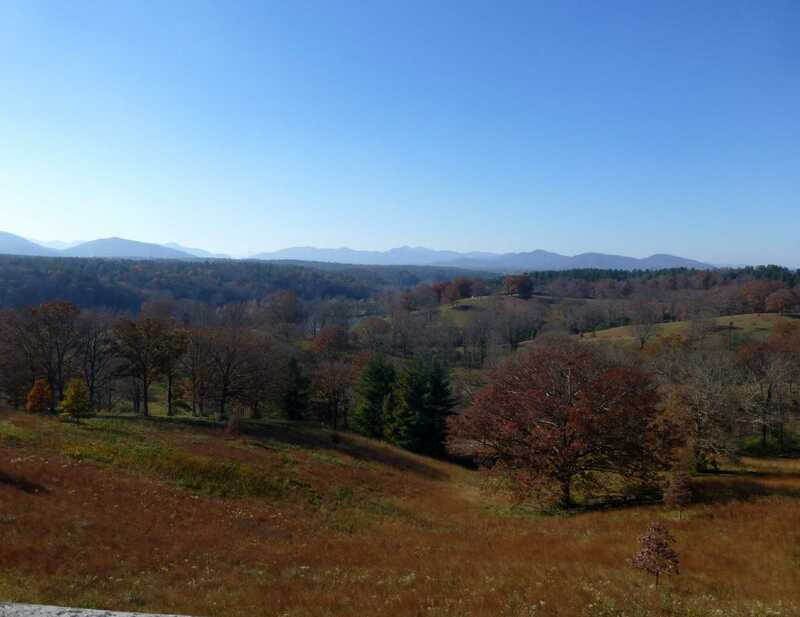 To a View: Since it’s late in the season and expansive views of fall color are harder to come by, we’re going to cheat… our suggestion for a beautiful view in November is Biltmore Estate in Asheville. Biltmore House itself is gorgeous, yes, but the view from the Loggia — the balcony off the main first floor hall of Biltmore House — of the area of the estate called the Deer Park is striking, especially in the fall. There is an entrance fee for Biltmore Estate; our guests can purchase tickets right here at the Inn on Mill Creek at a nice discount and the tickets can be used the following day at no extra charge so you can take in the view times two. 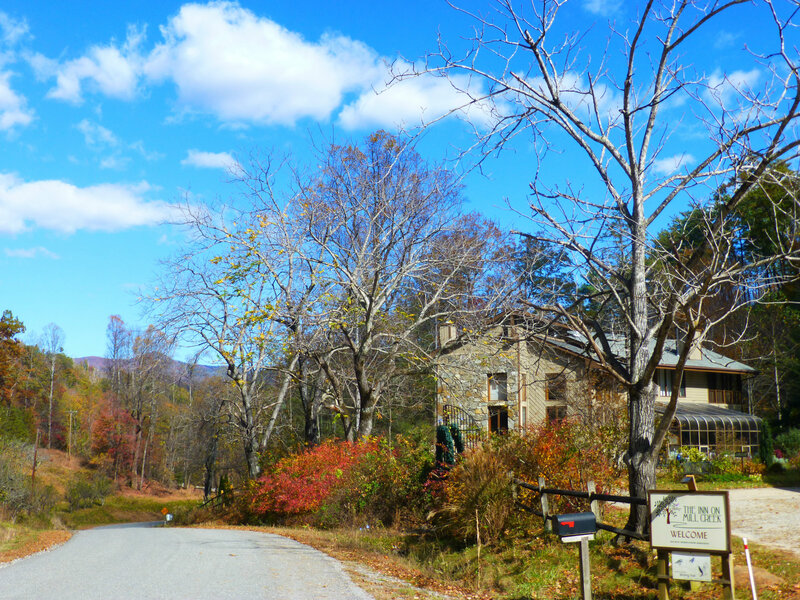 This entry was posted in Fall Color Reports, Fall near Asheville and tagged Asheville, Autumn / fall foliage, Biltmore, fall foliage, hiking, Montreat, outdoors, waterfalls by Inn on Mill Creek. Bookmark the permalink.